In war-torn South Sudan, 1.25 million people are facing starvation, double the number from the same time last year, according to a report by the United Nations and the government released Monday. The South Sudan crisis has not been on the front burner, reports CBS News' Pamela Falk from the U.N., but the new report underscores that the food emergency will get worse, not better, and that over half of the total population is facing a "humanitarian catastrophe." This country could once again plunge into famine in 2018, warn humanitarian groups and the government. In February, the world's youngest nation declared famine in two counties in Unity State, the world's first formal famine declaration since Somalia in 2011. 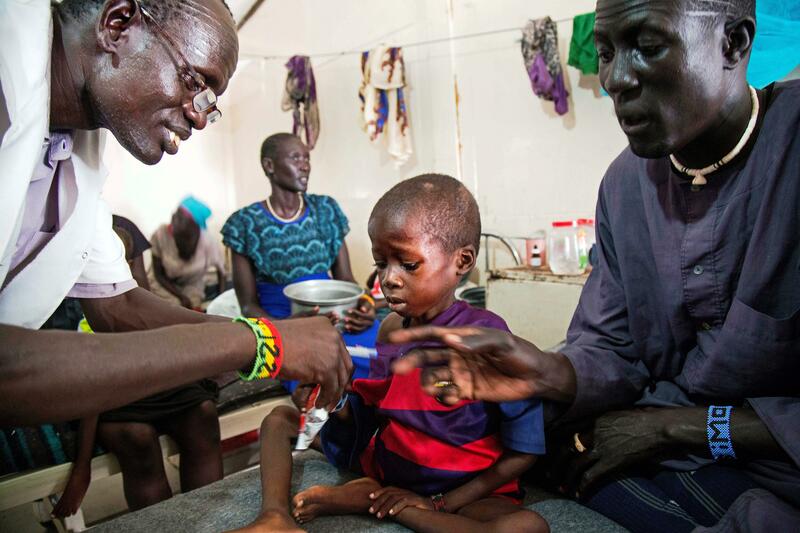 In South Sudan's two counties, 100,000 people were on the brink of starvation, but thanks to early detection and a rapid response, catastrophe was avoided, said the World Food Program. However, the latest food and security analysis update by the U.N and South Sudan's National Bureau of Statistics is grim. As of September, 6 million people — 56 percent of the population — were experiencing severe hunger with 25,000 South Sudanese in humanitarian catastrophe in Ayod and Greater Baggari counties. South Sudan's widening war has made food production impossible and delivery of aid dangerous and difficult. Both Ayod and Baggari are rebel-held areas and locals say the situation in the two counties is dire. "We ran out because of the hunger," said a resident of Baggari who recently fled with his family to the nearby town of Wau because they didn't have any food. He spoke on condition of anonymity for his safety. The 52-year-old father of four told AP by phone that people are "dying of hunger" and in the last year and a half he only saw humanitarians enter Baggari town three times. "If the government doesn't approve of people coming in to help what can we do? We have nothing, we can just pray," he said.